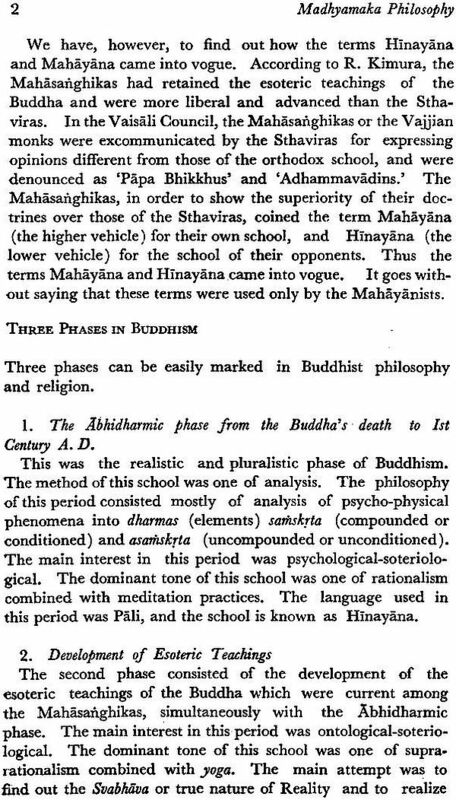 This brief introduction to Madhyamaka Philosophy gives a history of the rise and growth of Madhyamaka Philosophy, and the origin, structure, development and purpose of the Madhyamaka dialectic. 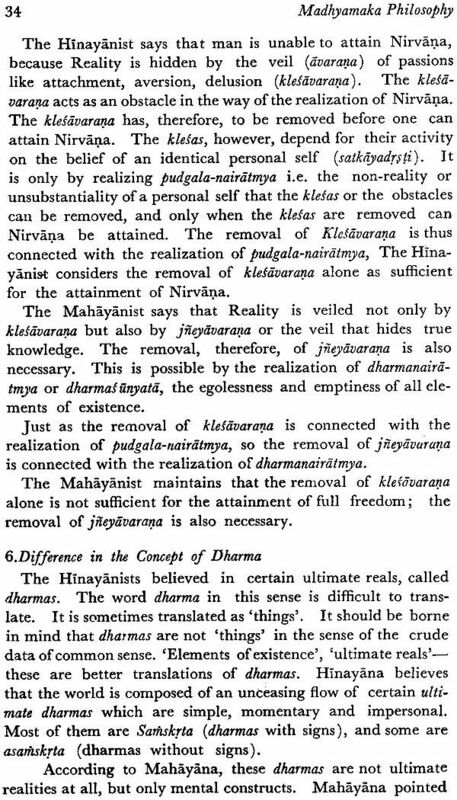 It elucidates the distinction between Hinayana and Mahayana in respect of pratityasamutpada, nirvana, the ideal of religious discipline, the concept of Dharma, and the concept of Buddhology. It discusses the meaning of Sunya-Sunyata and its axiological and soteriological significance. 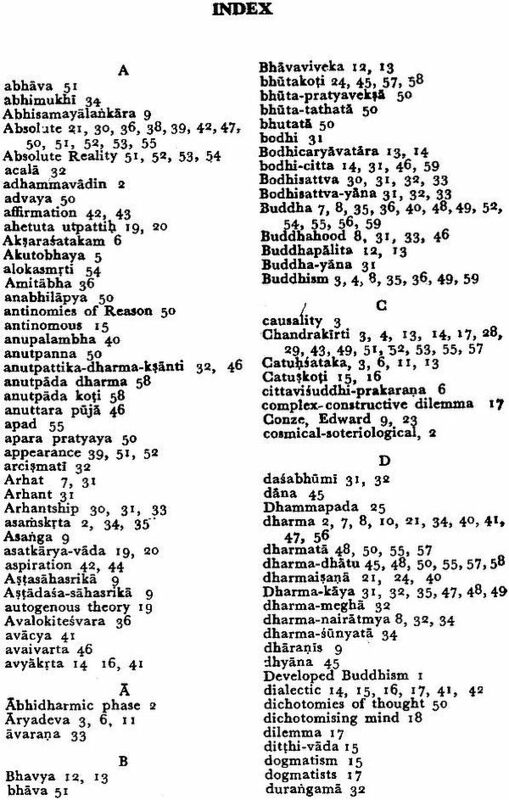 Other important features of the present introduction are the clarification of the concepts of Madhyama Pratipad, Samvrti and Paramartha Satya, Tathata, Dharmadhatu and Bhutakoti. This is brief Introduction to Madhyamaka Philosophy. It contains, however, all the essential features of this system. It gives a history of the rise and growth of Madhyamaka Philosophy, and the origin, structure, development and purpose of the Madhyamaka dialectic. 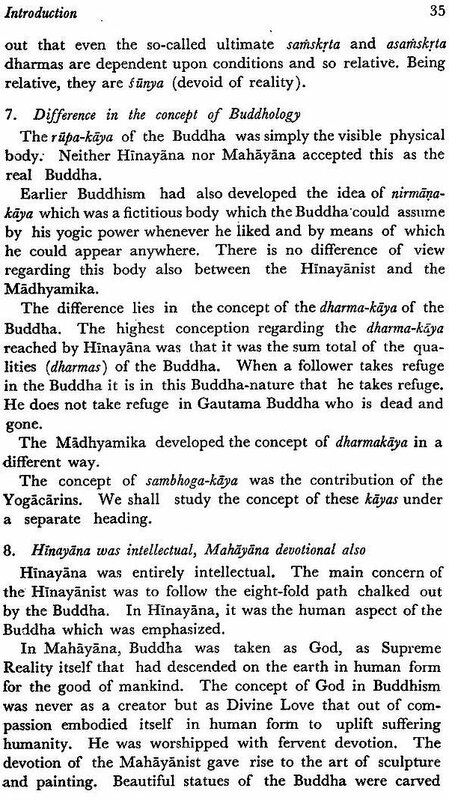 It elucidates in detail the distinction between Hinayana and Mahayana in respect of pratityasamutpada, nirvana, the ideal of religious discipline, the concept of Dharma, and the concept of Buddhology. 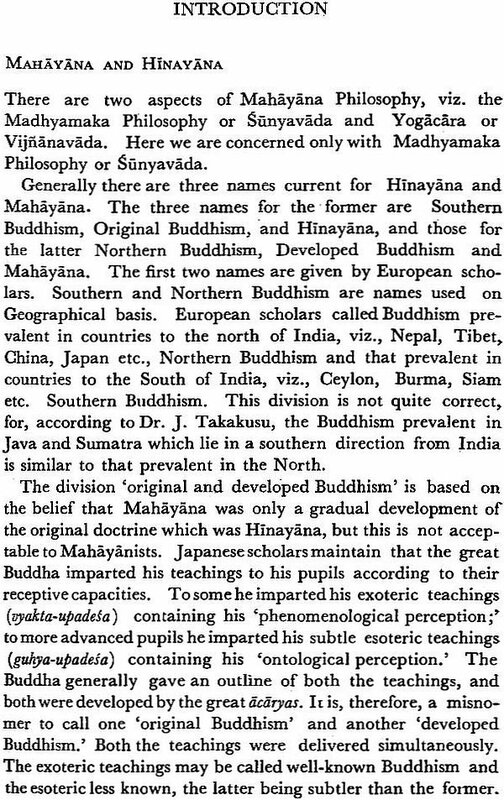 It discusses in detail the meaning of Sunya-Sunyata and its axiological and soteriological significance. Other important features of the Introduction are the clarification of the concept of Madhyama Pratipad, Samvrti and Paramartha Satya, Tathata, Dharmadhatu and Bhutakoti. 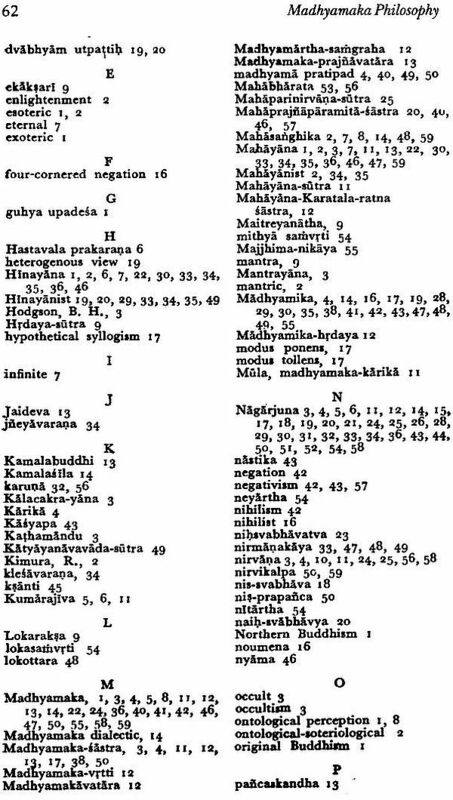 It gives not only the negative side of Nagarjuna's Philosophy but also his positive contribution. With all these features, this Introduction will be of value to the students of Madhyamaka Philosophy.